The RSPCA is celebrating news that the supermarket chain is the latest company to commit to a significant improvement in meat chicken welfare. More meat chickens are reared each year in the UK than any other land animal (over one billion) and a vast majority are kept in conditions which the RSPCA thinks are unacceptable and puts them at risk of suffering. Waitrose joins Marks & Spencer, Nestlé and Knorr who have also signed up to the Better Chicken Commitment, pledging to meet a number of key requirements to improve the welfare of meat chickens across their entire supply, meaning that even the cheapest chicken products will have been raised to higher standards. The initiative has sparked recent media coverage following the launch of a campaign by the RSPCA which revealed shoppers expect supermarkets to ensure higher animal welfare, with some retailers using potentially misleading labelling that can give the impression of higher welfare conditions. The requirements for the commitment have been drawn up by a partnership of animal protection groups, including the RSPCA - and now the RSPCA is urging other supermarkets such as Tesco, Sainsbury's, Asda, Aldi, Lidl, Coop and Morrisons to follow suit and commit to raising welfare standards across their supply chain of chicken by 2026. 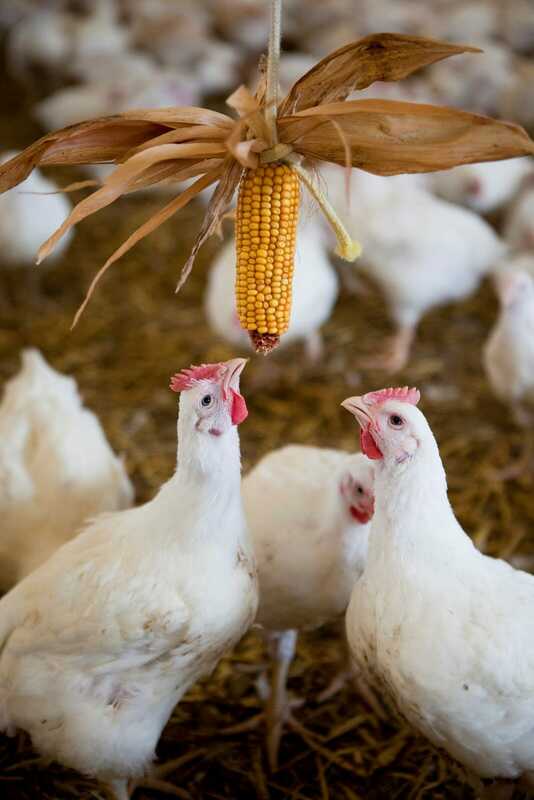 That means addressing the most pressing welfare concerns in meat chicken production through the use of higher welfare breeds of chickens and providing natural light, more space, enrichment - such as straw bales and objects to peck at - and perching, as well as adopting more humane methods of slaughter. The RSPCA has long campaigned on these issues. Kate Parkes, chicken welfare specialist at the RSPCA said: “This move by Waitrose is another great step for meat chickens and consumers. We are really pleased that now two of the country’s best known supermarkets have jumped on board with this very important initiative, and we are hopeful that it will give their competitors the wake-up call they need to realise that animal welfare cannot go on being ignored. “More meat chickens are produced than any other terrestrial farm animal in the UK, with over 1 billion reared each year. “But despite this rapidly growing demand, there has been little progress made in improving the welfare of the majority of chickens bred for their meat, especially in key areas related to welfare. Fast-growing breeds still dominate the market; rapid growth can contribute to painful conditions such as severe lameness and heart defects. Though some supermarkets may offer a high welfare option, this commitment is calling on them to raise the welfare of chickens across their supply. Of course, we would like to see all supermarkets adopt RSPCA standards, but the Better Chicken Commitment is great step in the right direction for animal welfare. She added: “It’s been more than 10 years since chicken welfare was highlighted by celebrity chefs Jamie Oliver and Hugh Fearnley-Whittingstall and sadly there hasn’t been as much progress as we hoped there would have been. Shoppers who care about chicken welfare can look for RSPCA Assured labelled products which are on sale in Sainsburys, Aldi, Co-op, Ocado and Lidl. Find your nearest stockist here. In order to have the RSPCA Assured label farmers have to meet the RSPCA’s strict welfare standards.